A parliamentary report of 1777 recorded parish workhouses in operation at Spalding (for up to 56 inmates), Gosberton (28), Pinchbeck (25), and Surfleet (12). In March, 1822, the Lincoln Overseers advertised for a contractor to manage the Spalding workhouse and six acres of land. The contractor, who was to reside in the workhouse, would be paid so much per inmate per week and have rent-free occupation of the land. County of Lincoln: Cowbit, Gosberton (4), Moulton (3), Pinchbeck (4), Quadring (2), Spalding (8), Surfleet (2), Weston. Later addition: Deeping St Nicholas (1862). The population falling within the Union at the 1831 census had been 15,579 with parishes ranging in size from Cowbit (population 556) to Spalding itself (6,497). The average annual poor-rate expenditure for the period 1833-35 had been £10,967 or 14s.1d. per head. The new Spalding union workhouse was built in 1836-7 on the eastern side of Pinchbeck Road to the north of Spalding. The architect was Bryan Browning who was also responsible for the Bourne and Stamford workhouses. It was designed to accommodate 300 inmates and the Poor Law Commissioners authorized an expenditure of £5,350 for its construction. The view of the site below also included a glimpse of the large windmill that stood to the south of the workhouse. 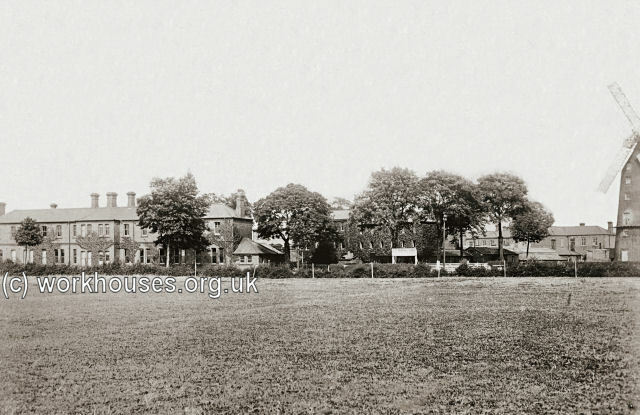 Spalding workhouse from the south-west, early 1900s. Spalding workhouse school block, early 1900s. 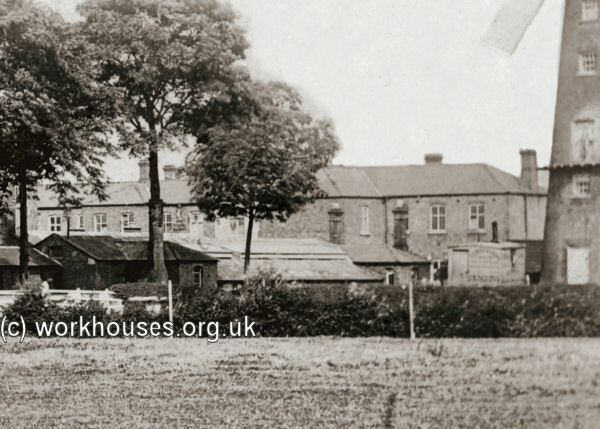 Spalding workhouse main block, early 1900s. 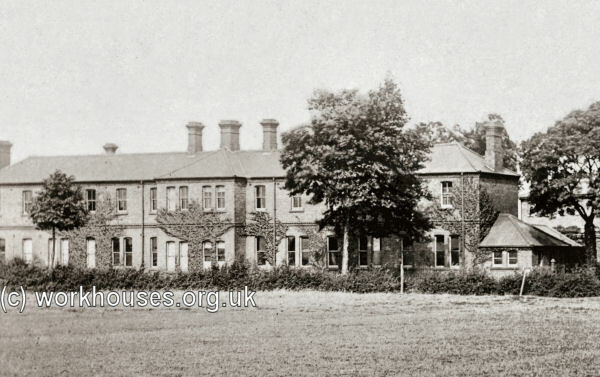 Spalding workhouse infirmary, early 1900s. The workhouse school was closed in January, 1896. A report of a Board of Guardians' meeting where the matter was discussed noted that the school then had only seven inmates, "one was a cripple, who would most likely be there all his life; two were nearly 14 years of age, and would be going out as soon as they could procure situations for them; and as to the other four they were children of women in the House." The decline in the numbers of children in the workhouse was attributed to a general decrease in pauperism and the adoption of the boarding-out (fostering) system. It was decided that the remaining children would be accommodated in the main workhouse but kept separate from the adult inmates. 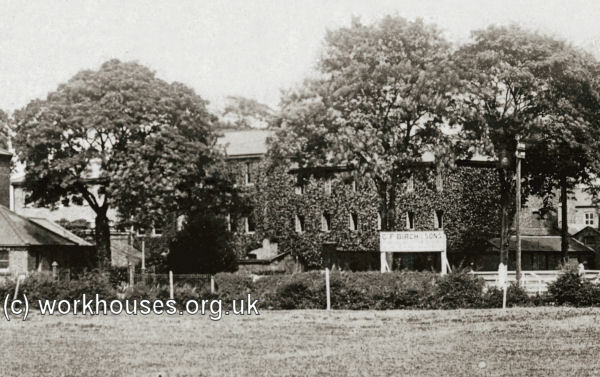 After 1930, the former workhouse became a Public Assistance Institution known as the Myntling Home (or Mintling House) and later as Pinchbeck Road Hospital. Nothing now remains of the workhouse buildings. A health services complex now occupies the site. Lincolnshire Archives, St. Rumbold Street, Lincoln LN2 5AB. Holdings include: Guardians' minute books (1835-1930); Births (1914-47); Admissions and discharges (1913-16, 1924-8, 1930-46); Creed register (1914-48); Punishment book (1862-1929); Register of lunatics (1914-48).